Office No.B-101, Sujit Complex, S. No.60/1A/2, Behind HDFC Bank, Nr. Vadgaon Bridge, Sinhagad Road, Pune - 411 041. 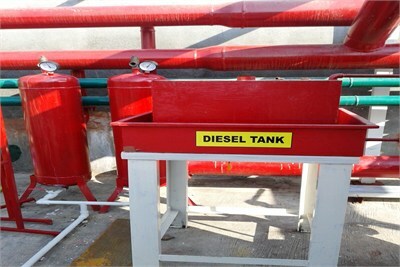 Shivam Fire Enterprises have been able to offer a qualitative range of Diesel Tank. These are engineered under the firm direction of experienced quality controllers, who ensure us for the longer service life, robustness and consistent performance of these Diesel Tanks. Address: Office No.B-101, Sujit Complex, S. No.60/1A/2, Behind HDFC Bank, Nr. Vadgaon Bridge, Sinhagad Road, Pune - 411 041.